No need to attend a volunteer orientation! 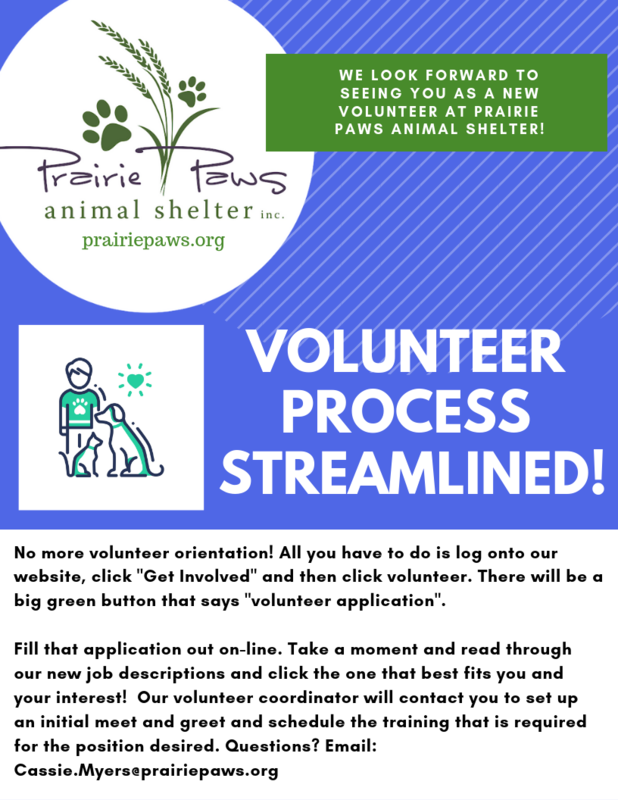 Prairie Paws Animal Shelter is a private, no kill, 501 (c)(3), non-profit shelter, founded over 70 years ago by Beatrice Martin Peck. Prairie Paws Animal Shelter’s Mission Statement is to provide compassionate care and placement for animals in need.